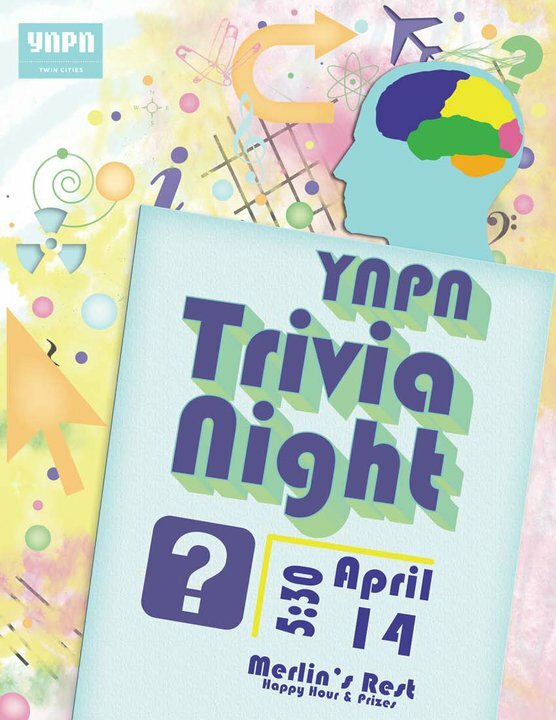 We at Minnesota Rising were pleased to be able to submit a few trivia questions for the upcoming YNPN-Twin Cities Trivia Night at Merlin's Rest. Perhaps you'll be able to recognize us in the fold? Come out for a night of fun with other emerging leaders and test your knowledge of what resources and organizations help to make up the vast ecosystem of Minnesota's nonprofit community. And maybe even be rewarded for knowing all that's in your noggin! 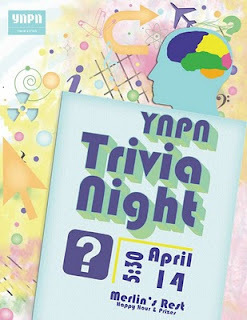 Put your brain bands on and get your fingers stretched; YNPN Trivia Night is just around the corner. Finally, a chance for all of us meek, mild-mannered nonprofiteers to tear off our tights and ties and go head-to-head in a trivia bloodbath. Not only will you bend your brain on some astonishing, some deceptively obvious, and some mostly obscure facts about your favorite nonprofits, you’ll also learn about valuable professional resources in the Twin Cities. And, since we know you can’t do anything without a hearty bribe…the top teams will be awarded totally awesome prizes! Come with a team of four or form a team when you get there. Nonprofit know-it-alls and nonprofit newbies drinking drinks, meeting minds, and mopping up the trivia floor—what could be better?